My daughter’s British Kings and Queens History theme is still going strong and I must admit I am finding it fascinating. I went to school in South Africa so even though I did History as a subject for our equivalent of A levels it did not cover the British Monarchy in great detail. So I am very much discovering all these colourful characters with my daughter and I am loving the fact that there are so many amazing books and documentaries about the British Kings and Queens. 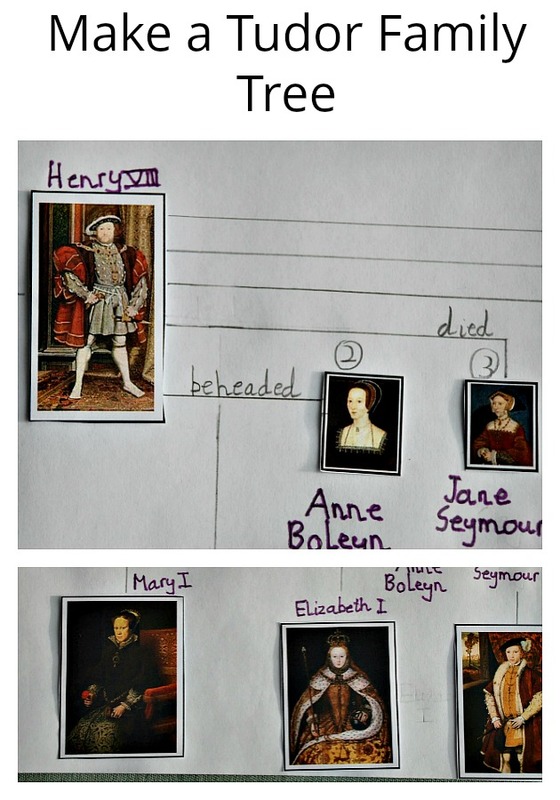 So I suggested we make our own Tudor Family Tree with the intention that when we get onto the Stuarts we stick a page next to it to show how the Stuarts were linked through Henry’s sister. 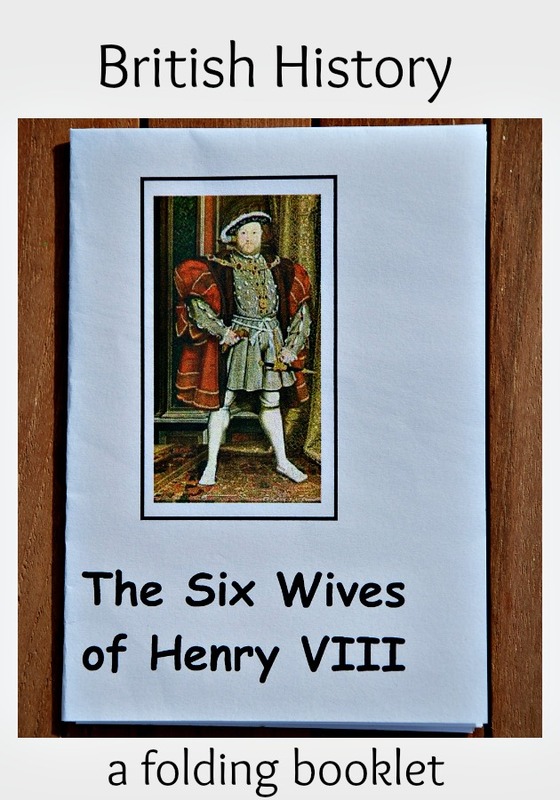 My daughter was very keen so we started searching for pictures that we could use and then realized that the 6 wives of Henry the VIII booklet from Activity Village actually had pictures of all 6 wives and Henry VIII on it and it printed out onto 1 piece of A4 – perfect. And that gave us the idea to use the pictures from the other Activity Village booklets as well – we also printed out these ones – Henry VII, Mary I, Elizabeth I and Edward VI. We came up with the idea of just using blu tack under the pictures while she created the family tree as she wanted to play around with how she set everything up. Under Henry VII we made a long line that effectively goes off the page – this line will then link Arthur and Henry VIII to our Stuart Page were we will include Henry VIII’s two sisters. She also included details like who was beheaded or divorced. And our Tudor Family Tree completed (well stage 1 completed). This entry was posted in History and tagged activity village, British History, educational resources, History, home ed, home education, homeschooling, Tudors. Bookmark the permalink.